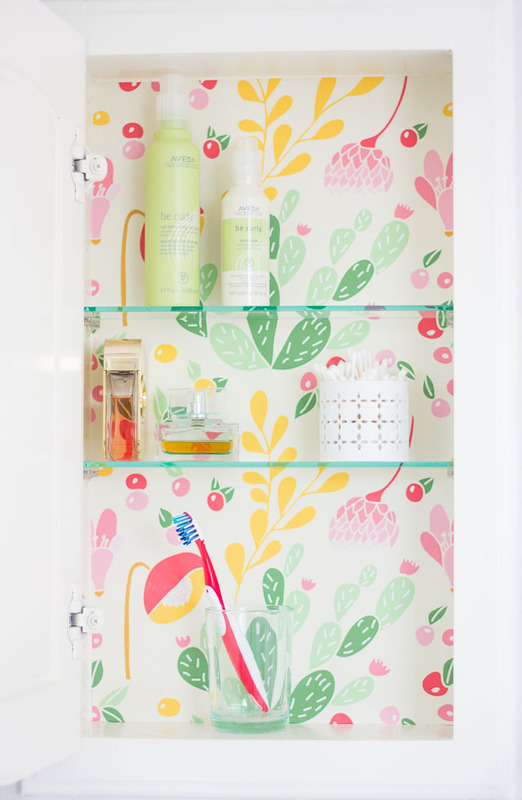 The lovely medicine cabinet. 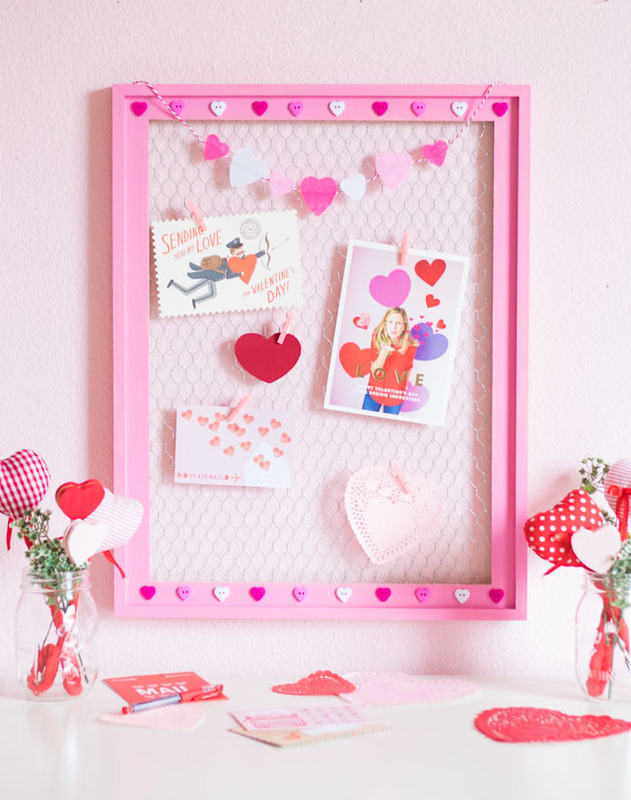 Not something you’d consider an exciting decor piece in your home, right? That is…not until now! 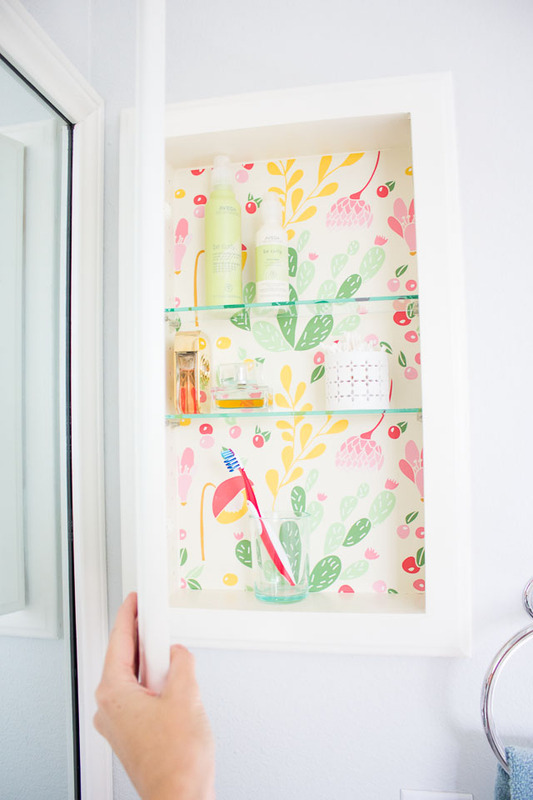 Our master bathroom medicine cabinets just got a whole new look thanks to this gorgeous peel and stick wallpaper designed by my friend Audrey of This Little Street blog! 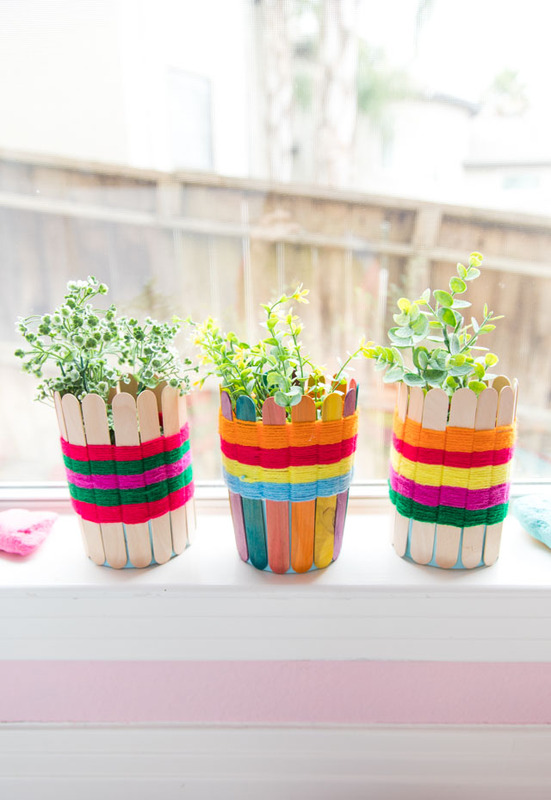 Aren’t these patterns so fun? 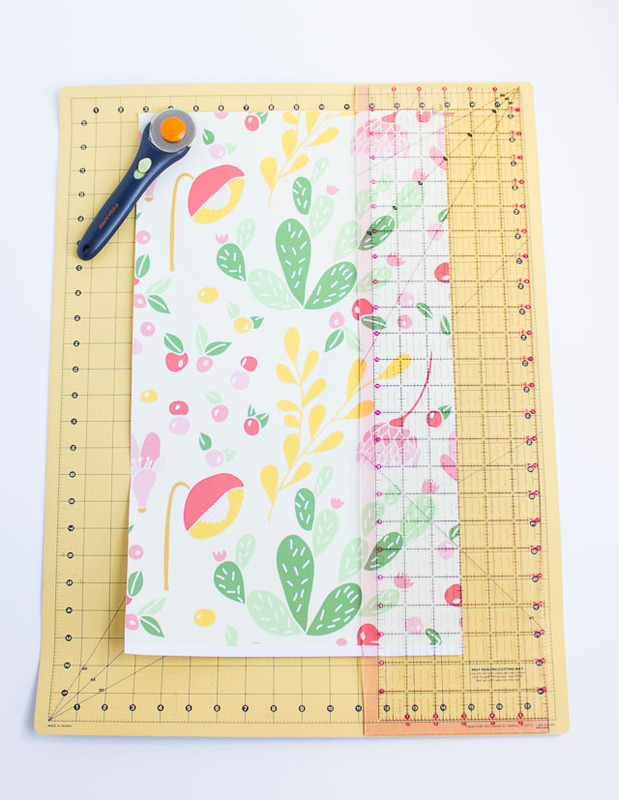 You can find all of Audrey’s collection on Spoonflower and not only do they come in peel and stick wallpaper (for only $7.50/ft), but you can order the prints in a variety of fabrics and wrapping paper as well! 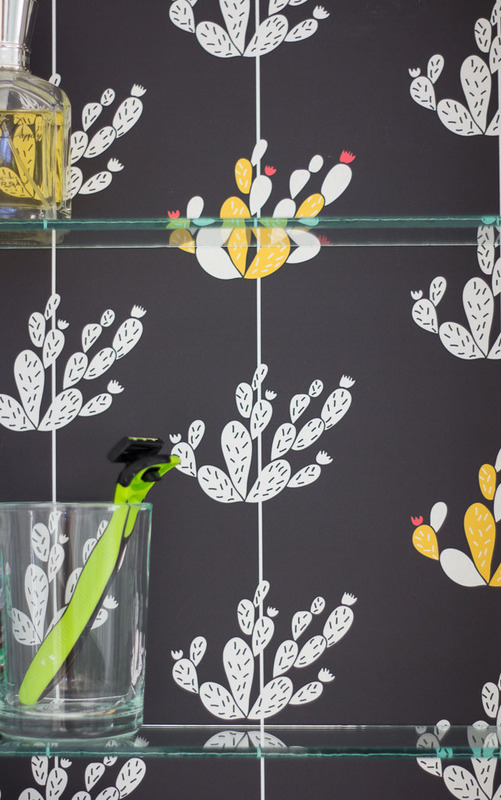 I have never wallpapered anything before so I was nervous to try out this project, but the peel and stick wallpaper couldn’t have been easier and it is even repositionable if needed. 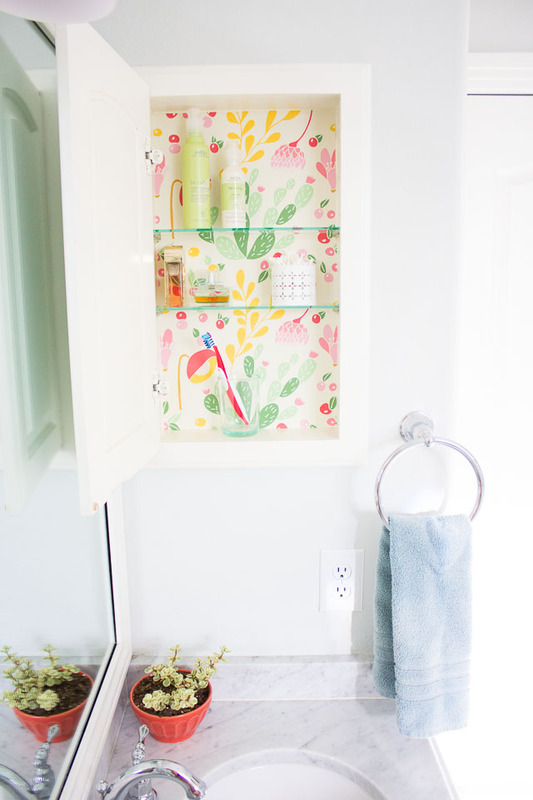 If you’re like me and haven’t worked with wallpaper before, a medicine cabinet is the perfect low-risk spot to try it out. 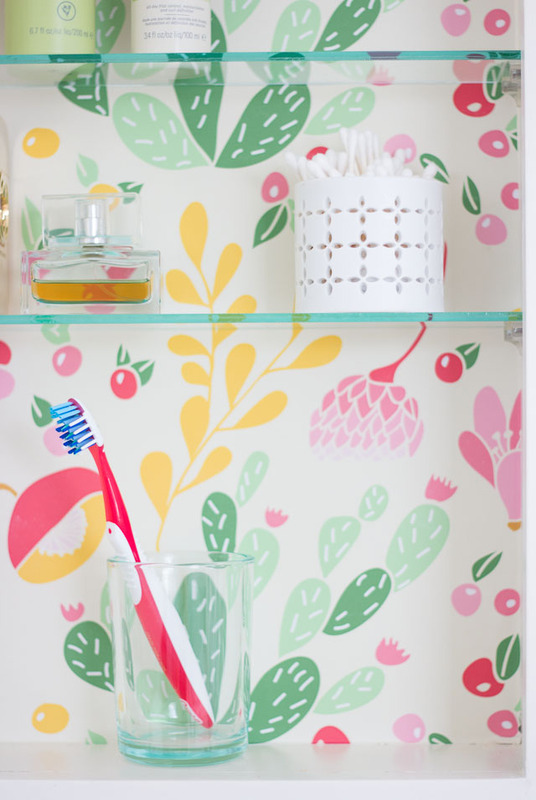 Read on to see how a single sheet of peel and stick wallpaper can transform your medicine cabinet! 1. 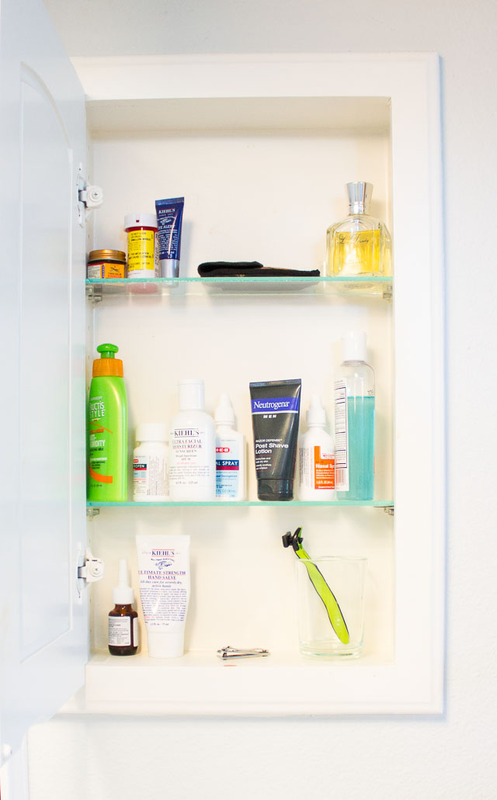 Clear out all the stuff currently in your medicine cabinet! This is a good opportunity pitch things that are expired or nearly empty. 2. 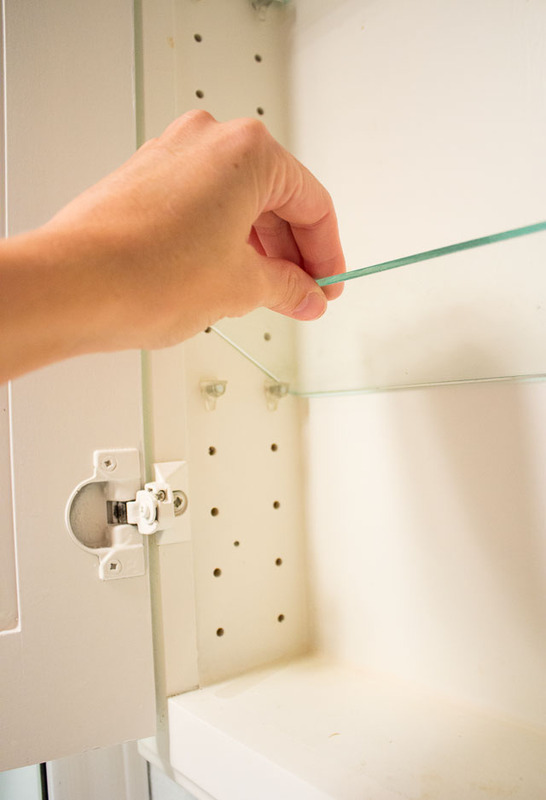 Give the cabinet a good wipe down with soap and water and let dry completely. 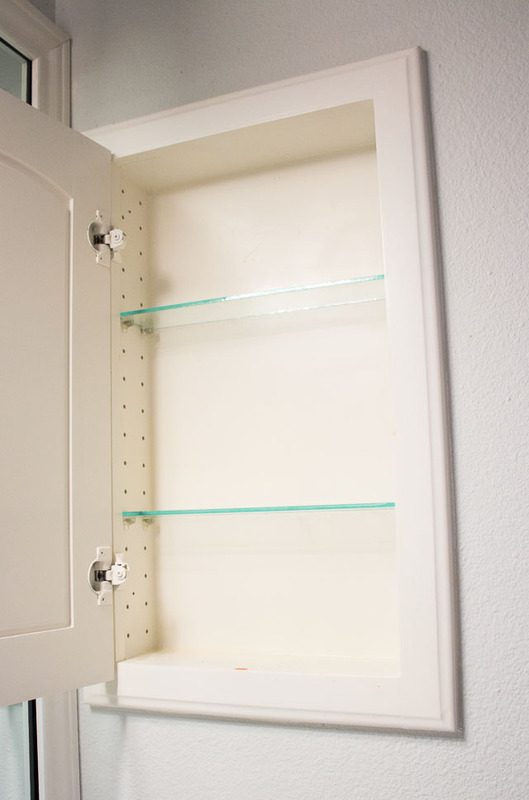 I was surprised how dirty my cabinet was – yuck! 3. If possible, remove the shelves. If yours aren’t removable you can carefully measure and cut smaller pieces of wallpaper to fit between the shelves. 4. 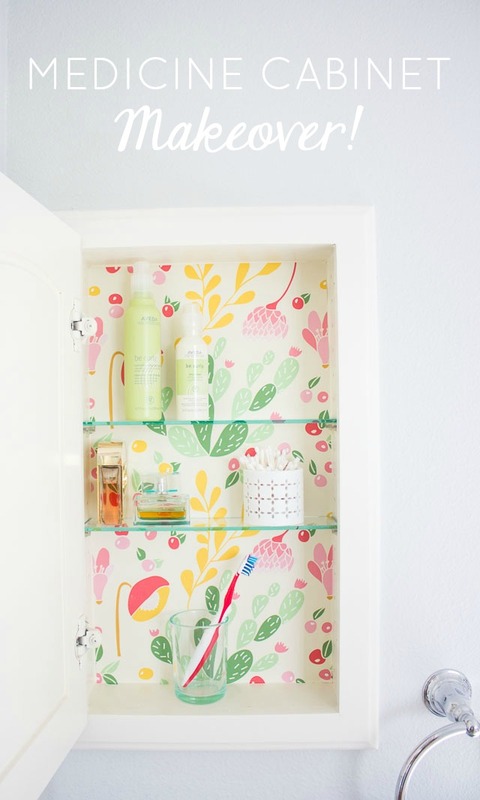 Carefully measure the inside of your medicine cabinet and cut a piece of wallpaper to fit. 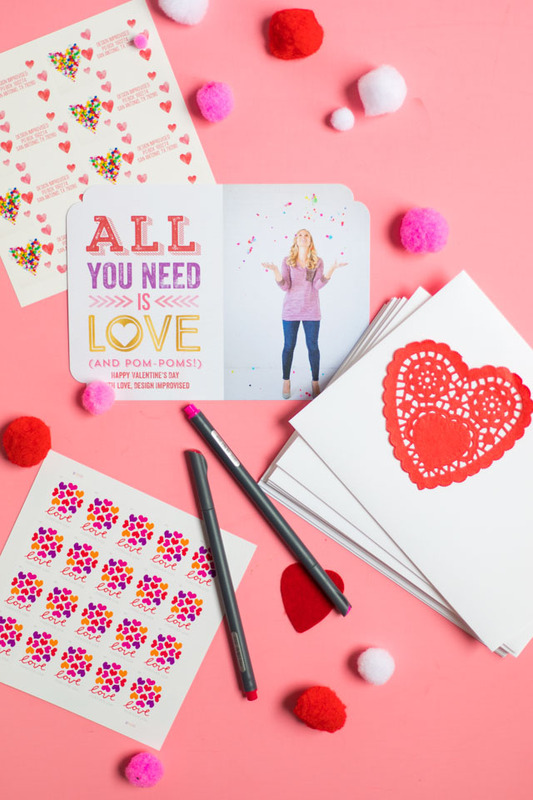 I used a rotary cutter, but you could also use scissors in a pinch! 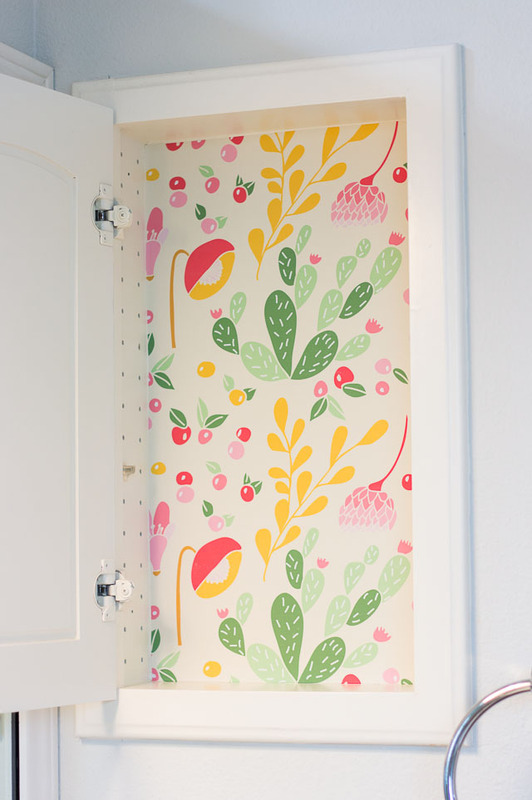 Then peel back the top of the wallpaper and line up with the top of the medicine cabinet. Once aligned, start smoothing down the paper moving from the center and pushing outwards. Continue peeling the backing off as you go and smoothing out any air bubbles. There are handy instructions that come with the wallpaper that explain it better than me! 5. 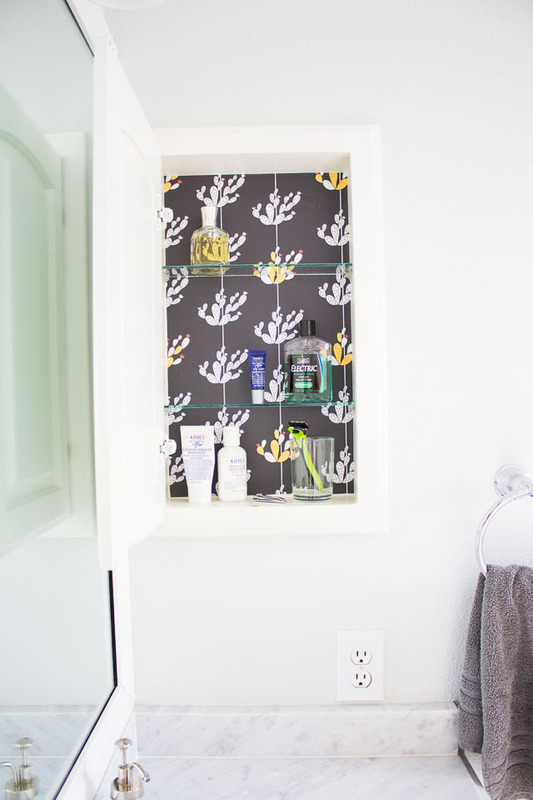 Replace the shelves and your de-cluttered toiletries and you have yourself a medicine cabinet makeover! 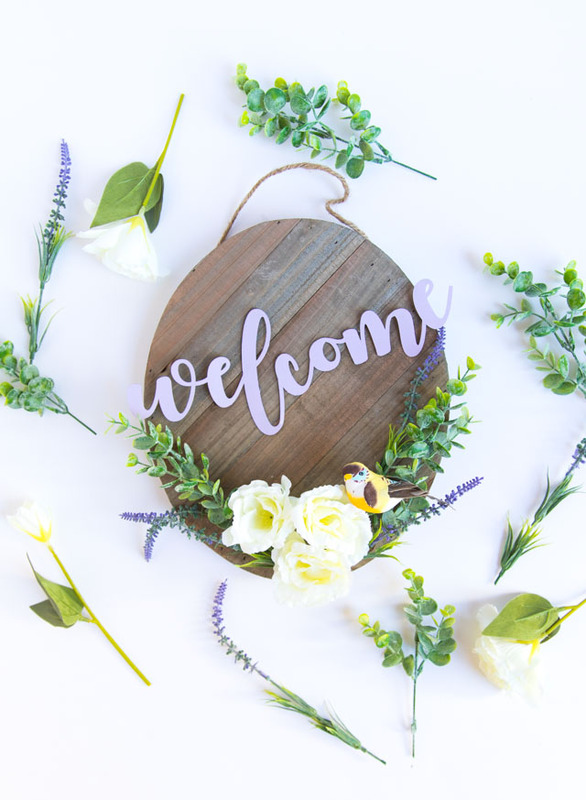 A big thanks to Audrey of This Little Street for providing me with a sample of her new line of prints at Spoonflower for this post!